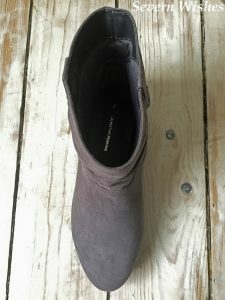 On my blog today is a short review about some Ankle Boots I bought from Dorothy Perkins in the January sale. I picked up my DP order a few weeks ago, I had these two pairs of gorgeous boots in the sale! I chose 1 grey and 1 brown because I so often go for black and wanted a change this year. I have a great many pair of boots already, yet each and every Winter new styles and colours come out and I’m tempted to get more. My reason for deciding on these two depended on their colour and height. I usually go for flat or slight heeled footwear, and I donated many of my old pairs of shoes and boots to charity over Christmas. 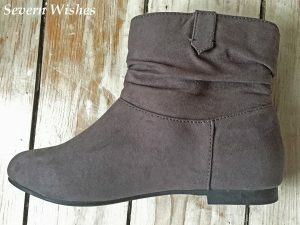 So I treated myself to these ‘Megan’ boots as called by Dorothy Perkins online. I really like the shape of the front of the boot itself, and the ruched details around the top half draw the eye to your ankles. This style can make you appear a little taller when paired with skinny jeans, elongating the look of the leg due to the short height of the boot. If they had a slight heel then this would enhance the effect. 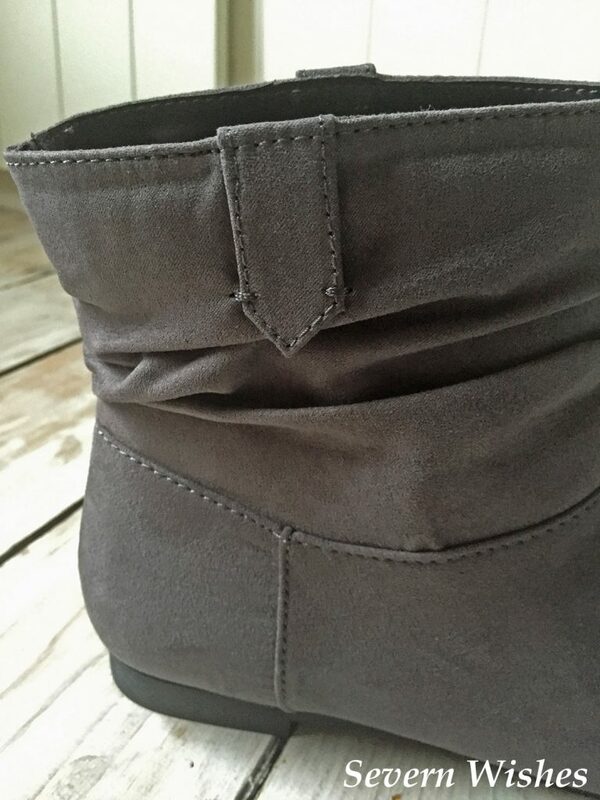 There’s also a nice stitching detail sectioning off the ruched third of the boot with the foot section, with a tab on the outer side which I think looks a lot like an arrow. The boot has sections where the stitching meets, these lines draw your eye around the footwear. I chose to wear both of these boots with various coloured skinny jeans, and even black leggings with a causal looking cotton dress. I found the shades of both the boots I bought to be quite versatile. Final Opinion – A great looking boot which will be ideal for the Winter to Spring transition. 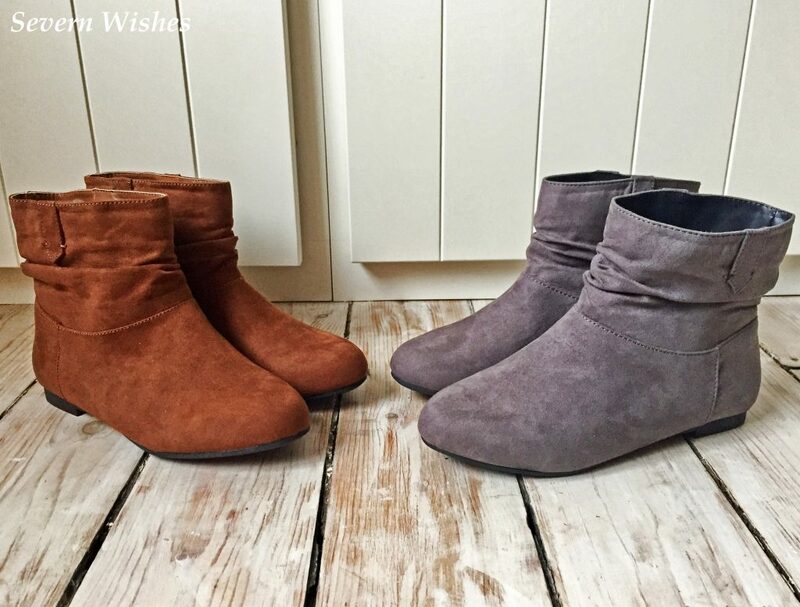 Stylish and soft they are a staple ankle boot for most wardrobes. This style can be paired with both jeans and dresses for a smart but casual appearance. Quality; Excellent stitching and good soles. Value for Money; January Sale, great prices. Appearance; Variety of colours available for a range of looks. 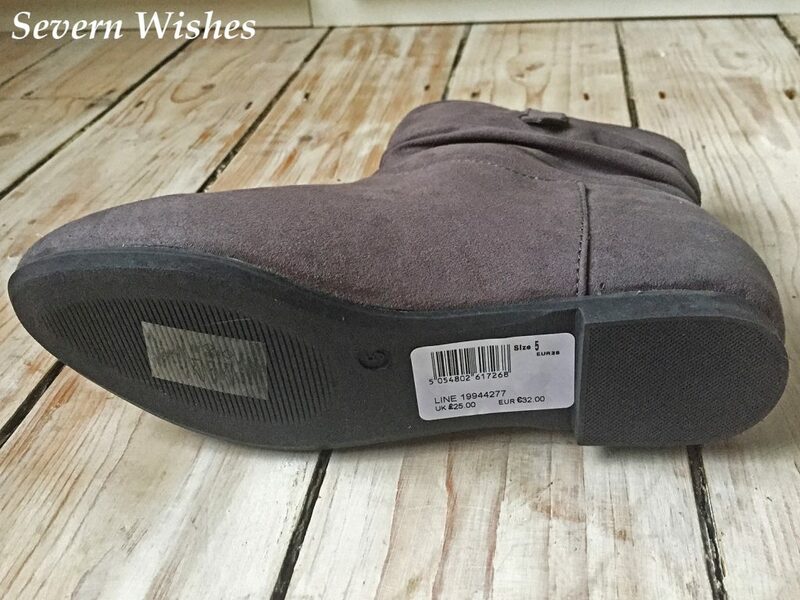 Comfort; Soft exterior and smooth sole interior, comfortable and I believe true to size fit. I am yet again extremely happy with my purchases from Dorothy Perkins. I don’t think I will need anymore footwear for a while now, as we are soon entering Spring, and I would hope for better weather here in the United Kingdom. These pairs of boots are versatile in outfit use and will be ideal throughout the year, even pairing with dresses in the warmer months. I am looking forward to wearing them with a variety of my clothes. 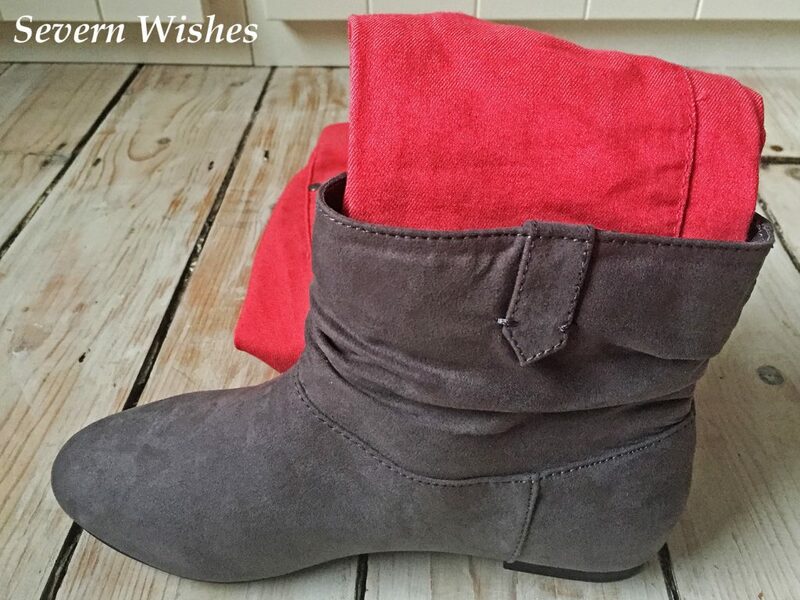 This entry was posted in Dorothy Perkins, Fashion, Footwear, Reviews by Sabrina. Bookmark the permalink. These tall boots get a lot of praise for their looks. I’m going to get them for myself. Thank you for commenting, yes this style is rather versatile and is ideal throughout the year I think too.